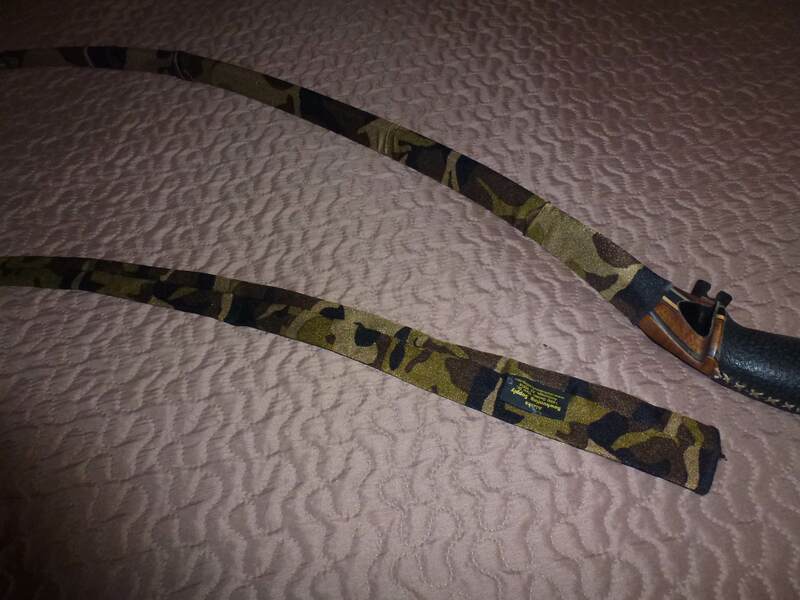 Alaskan Bowhunting Supply Camo Limb Sleeves- New! I was going through my archery "possibles" box to see what else I could come across to help the kids of St. Judes, and suddenly thought I was looking a camo silk tie! Having never purchased anything like that(?! ), I looked more closely and realized it was a new pair of camouflage spandex limb cover sleeves made by Alaskan Bowhunting Supply. That attached pictures will show one on a 58" Java Man Elkheart longbow, but with the stretch and versatility of the fabric, I suspect that it would fit on ANY bow, recurve, longbow, or self bow, wide limb or narrow, 50" or 68" in length! For the Elkheart, I "scrunched" the sleeve together in several places to fit for length, and it looks great. Non reflective and muted in camo colors. These are still new and I have never used these on a bow, but there is a small "rough spot" in the fabric at the base of one of the sleeves. Not torn, no holes, not really snagged, but roughened up a bit. Will not affect performance in any way, but I did not want ANY surprises! Shipping to the ConUS is on me. Here's to the kids and their families! 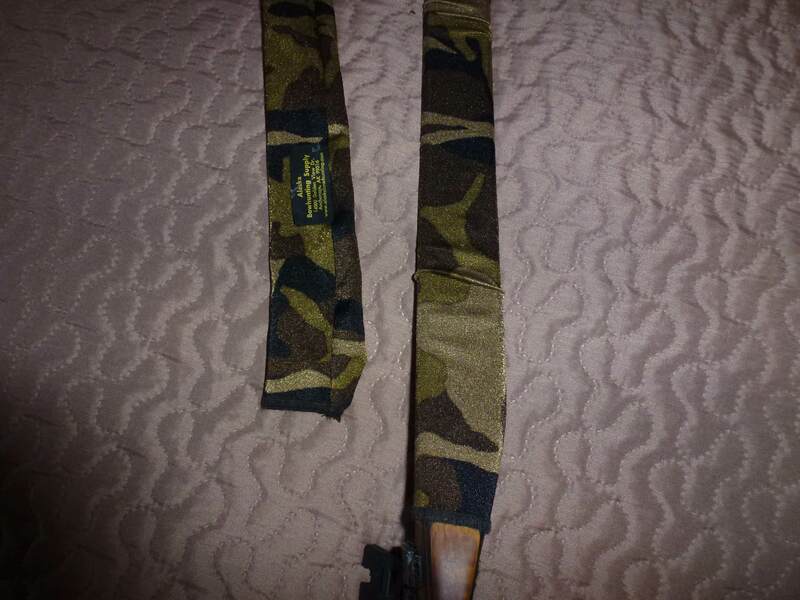 Re: Alaskan Bowhunting Supply Camo Limb Sleeves- New!